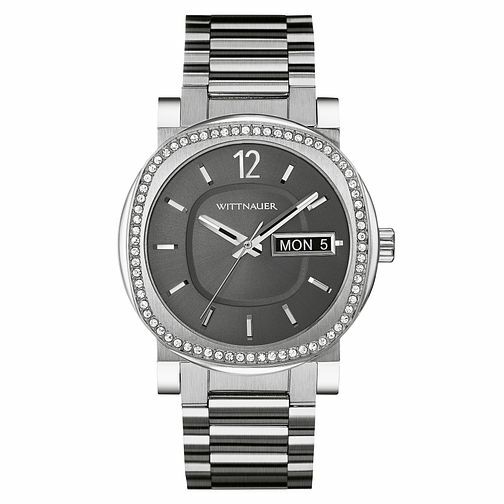 This watch from Wittnauer's Aiden collection is a fantastic piece for those seeking a more eye-catching and elegant look. Studded with crystals around the bezel, this piece is masculine whilst offering the wearer some added brilliance. A day/date aperture has been added for additional functionality and this watch also has a 50 meter water resistance.